Do you need more storage space? Or want to open up the kitchen to the rest of the house and create the feeling of a larger floor plan? Is your kitchen simply tired and doesn’t reflect your family’s style? Would a light-filled space make it easier to prepare and share meals with your family?With the design+build process, it’s easier than you think to achieve the kitchen you deserve. 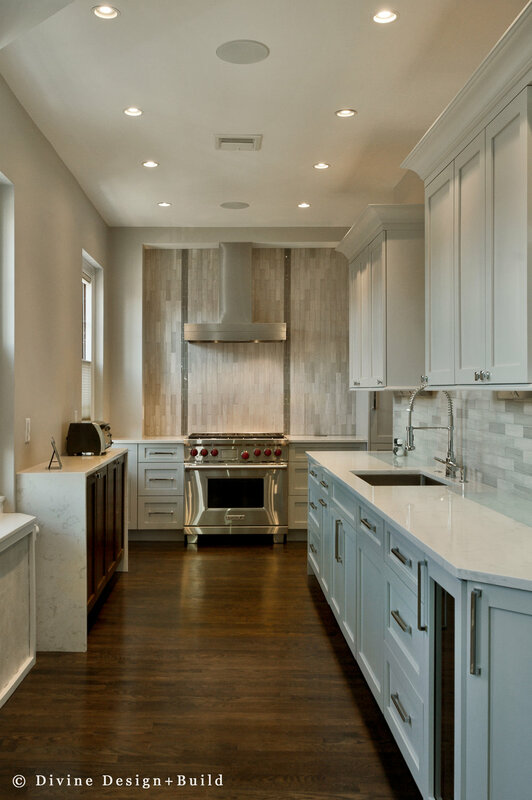 Explore some of the kitchens our award-winning team has designed and built for our customers below. …lends itself to a variety of tastes both classic and contemporary (and everything in between). With that said, Divine’s team of experienced designers and architects find daily inspiration through the old world charm so intrinsic in this city’s past and present.